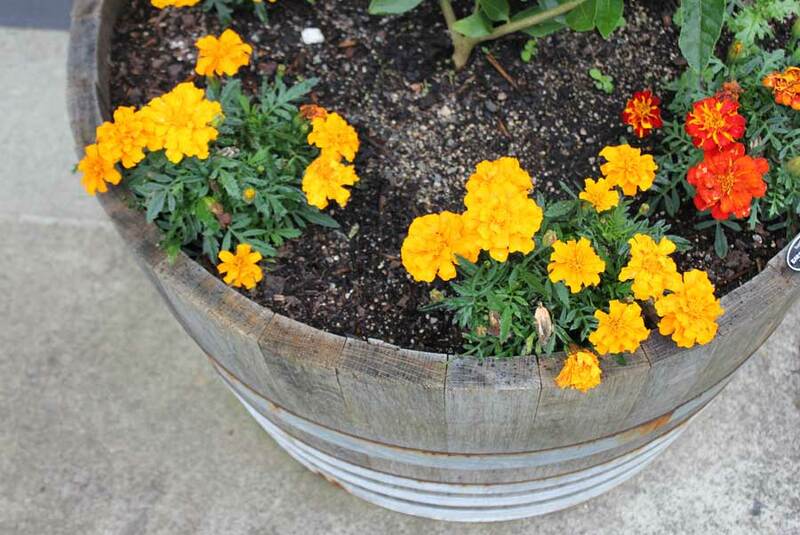 French Marigolds are one of the easiest annual flowers you can grow. 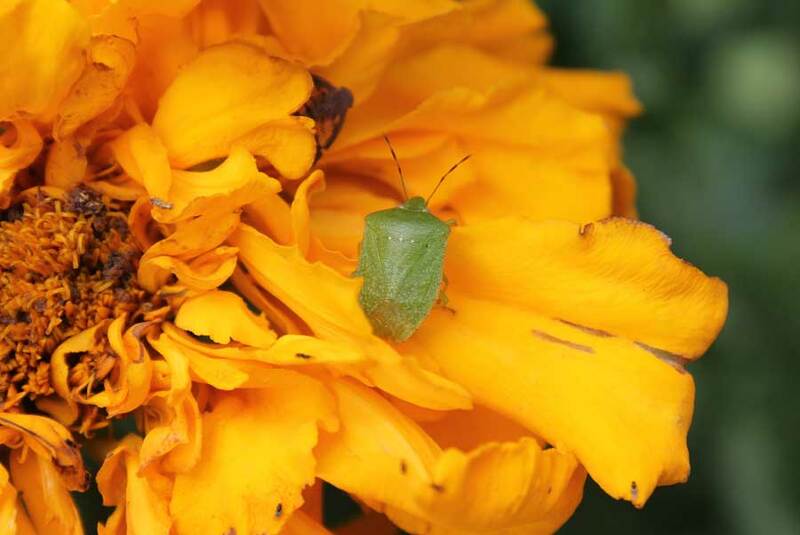 Their bright orange, yellow and purple flowers are beacons for beneficial predatory insects such as hoverflies as well as pollinating bees that will find them in your garden. 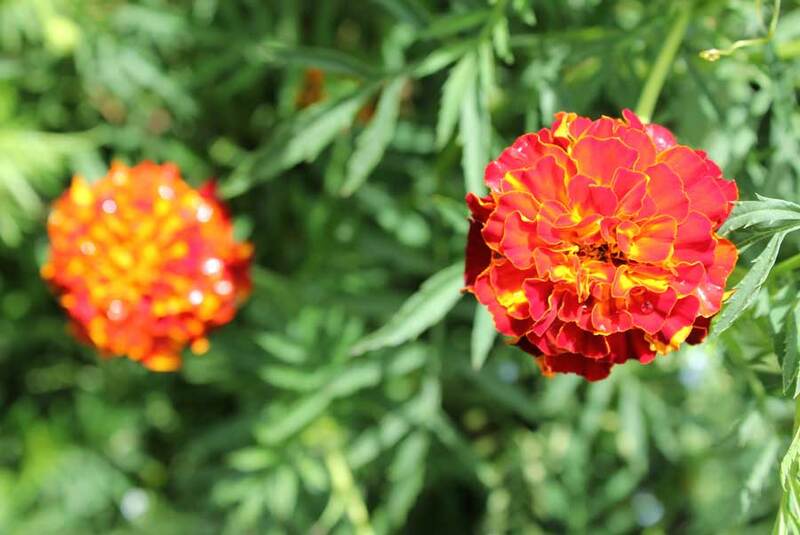 French Marigolds are not so big – generally around a foot tall and wide by the end of summer – so they can easily be dotted around beds on the edges and in gaps between crops. 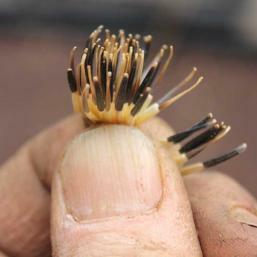 Their roots give off chemicals that repel tiny microscopic worms that can damage food crops by boring into roots. 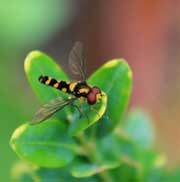 The foliage, when crushed, gives off a pungent aroma that also helps to deter pest insects such as whitefly. 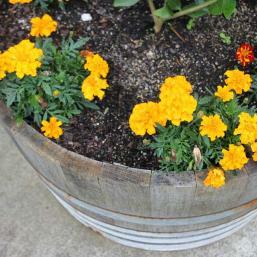 French Marigolds produce flowers from spring right through summer and autumn until plants get halted by frost in winter. 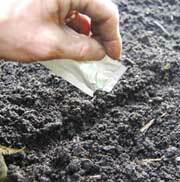 Sow or plant in early spring and summer countrywide. 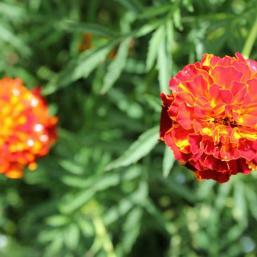 French Marigolds grow well in full sun as well as partial shade. 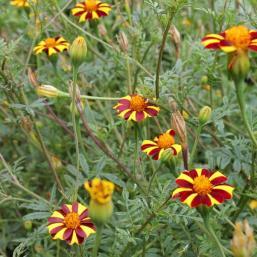 French Marigolds are not too fussy and grow well on most soils that have reasonable drainage and do not get too water-logged. If your soil is sticky then dig in coarse sand or fine pumice to help improve drainage – or plant French Marigolds in pots, old buckets with drainage holes in the bottom, a half-barrel or tyre stack. In early spring, sow seeds a finger-tip deep in trays or punnets filled with seed compost or directly into the garden or proposed container. If sowing in trays then transplant to pots or punnets when seedlings get to about half a finger in length and have developed a second pair of leaves. 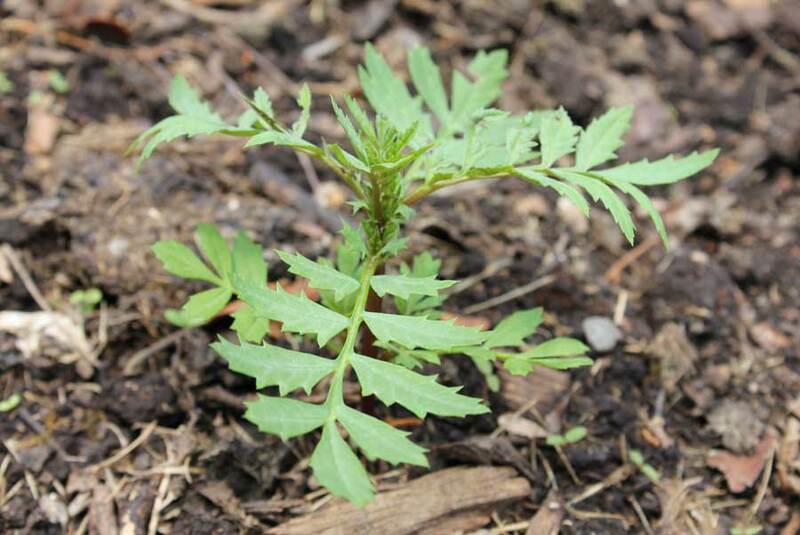 Thin seedlings in the garden as they develop so that plants end up with about one or two hands’ lengths between them if planted in groups or rows. 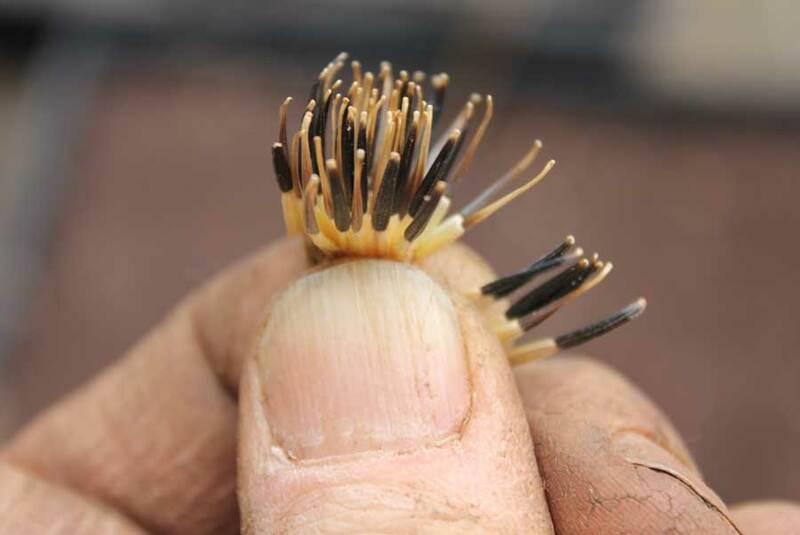 When your punnet or pot-grown seedlings are about a finger’s length in height and the weather has settled and is reliably warm and sunny, plant seedlings at an average spacing of a good hand’s length apart. 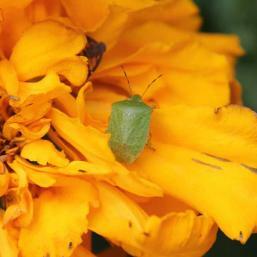 I usually dot them around the vegetable garden and plant them on bed corners and at the end of rows. Water young seedlings in dry periods. Once they are established and starting to grow you shouldn’t need to continue with watering unless weather is persistently dry and your soil dries out. Plants will wilt to let you know its time to get the watering can out. 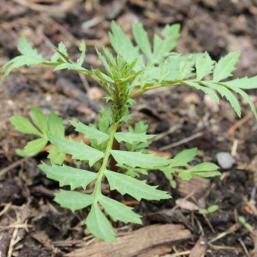 Slugs and snails like French Marigolds so keep a watchful eye on young seedlings and pick off slugs at night. Once plants are growing strongly they should be able to deal with the odd nibble now and again and you should be able to relax. Picking flowers when they have passed their best and are folding in on themselves encourages more to be produced. 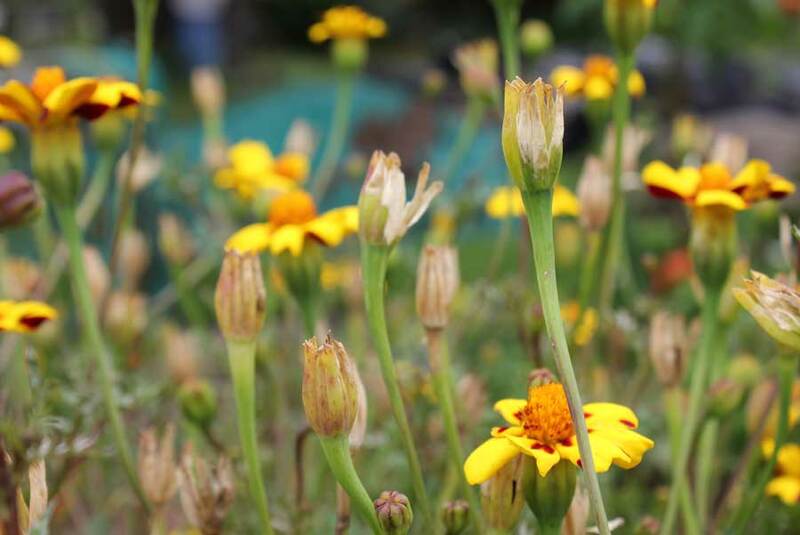 As an annual, French Marigolds will die at the onset of winter in cooler areas whereas in warmer parts of the country you might see a few plants hanging about through the winter months too. 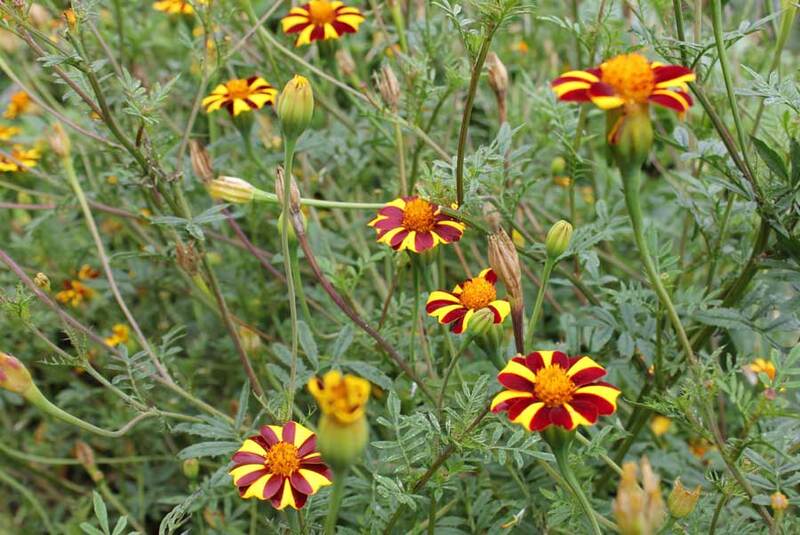 Allowing French Marigolds to flower and self-seed means you’ll be rewarded with a range of plants in all sorts of unexpected places next spring and summer. When you spot small seedlings in the spring you can simply lift them with soil around their roots and re-position them where you want them. 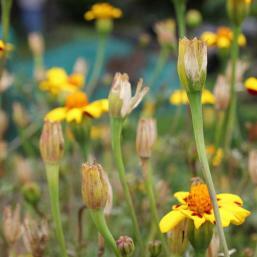 Alternatively, in late summer allow some of the flowers to form swollen seed pots and collect them for sowing next spring.